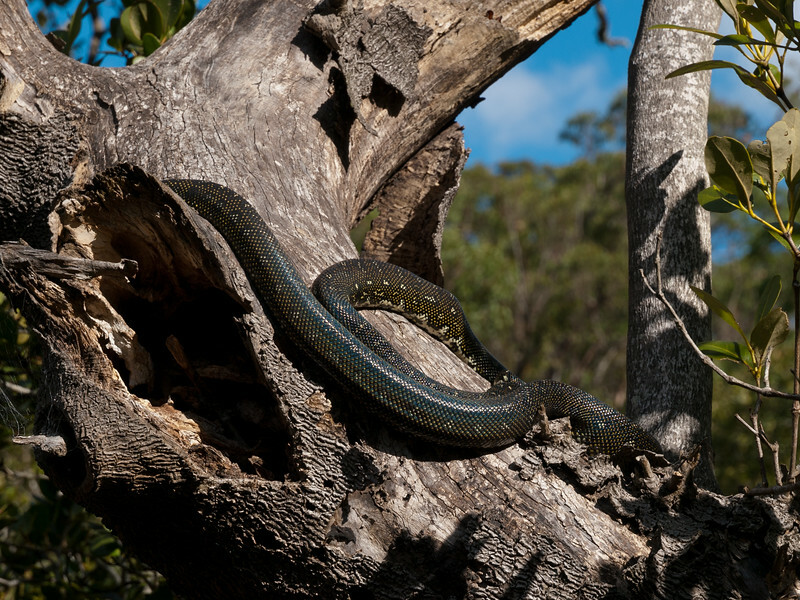 The python was basking in the sun on an old mangrove trunk at Bobbin Head. It seemed to be unperturbed by the constant stream of visitors that passed by. The lump in its belly indicates it is still digesting its last meal.